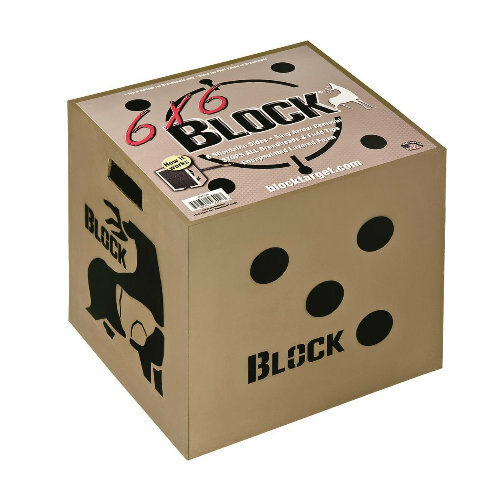 The Block's 6x6 Target can take thousands of shots from field tips and broadheads on all six sides. Your shooting surface increases 50% after being able to shoot two extra sides compared to other targets. Throwback, high-contrast target colors allow long shot distances. PolyFusion layered core uses friction instead of force to stop your arrows, increasing the life and making arrows easy to remove. Made in USA. 18"H x 18"W x 16"D.